Tatsuma Yoshida was most recently in charge of J-League side Ventforet Kofu. The Lions have been without a boss since they were eliminated from the group stage of the AFF Cup in November. Despite calls for caretaker coach Fandi Ahmad to be given the job on a permanent basis, the former striker was never in the running. Lim Kia Tong, president of the Football Association of Singapore (FAS), made it clear from December that he was looking to recruit from overseas. A number of interviews with Asian and European coaches were held in December but Yoshida, recommended by the Japan FA, is a late addition to the pack. 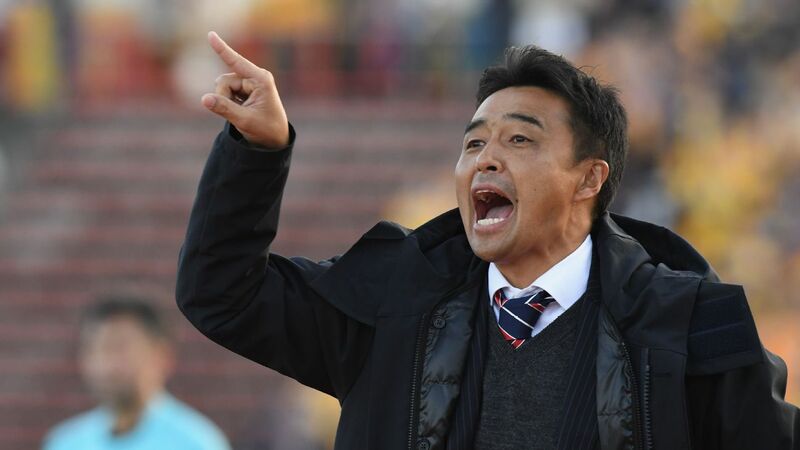 The former coach of Kashiwa Reysol, Albirex Niigata and, most recently, Ventforet Kofu, in the J.League, impressed in an interview, held remotely from Japan, last week. - Stange: Singapore "have gone backwards"
According to sources at FAS, the 44 year-old, who enjoyed a short spell as a player in Singapore with Jurong FC back in 2002, will meet face-to-face with officials from the city state in the next few days and, if all goes well, should be appointed in March. Singapore, long regarded as physical, pragmatic and aggressive in Southeast Asia, are moving towards building a long-term philosophy built on a more possession-based game with the ability to move the ball around at speed. "The team must now be able to play high-intensity, hard pressing and a fast-moving game," Lim said in December. "We also need a national coach who has the tenacity to build up our youth so that eventually, we will replenish the national team." Yoshida seems to fit the bill especially with a track record in Japan of improving young players. The Lions, currently ranked 165 in the world according to FIFA, start qualification for the 2022 World Cup in June in the first round with a two-legged elimination game that provides access to the group stages.